The Indonesian Ministry of Defence has selected the Embraer Super Tucano to replace the TNI-AU’s Rockwell OV-10 Bronco light attack aircraft in service. 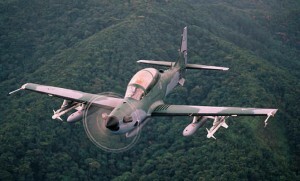 The order for eight aircraft also includes ground support equipment and an integrated logistics package, and is the first for the Super Tucano in the Asia Pacific region. Deliveries are scheduled to commence from 2012.